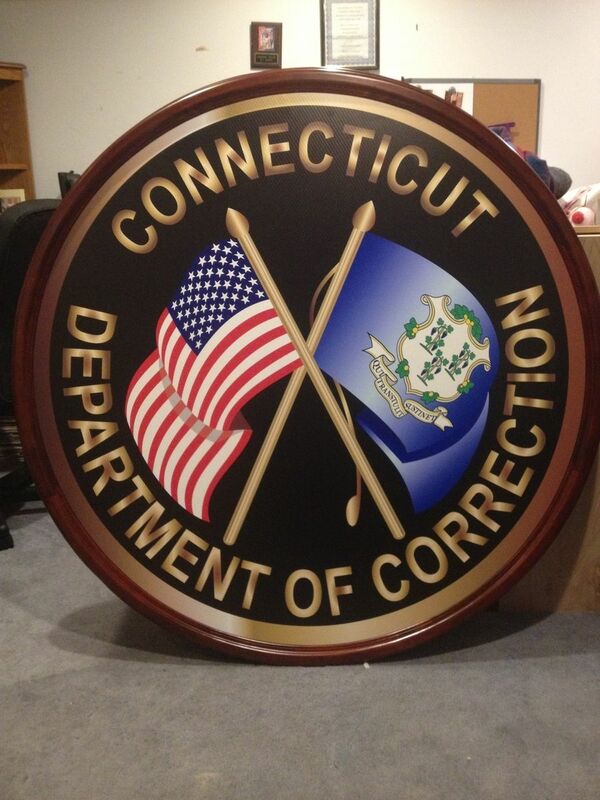 I was contacted by an official from one of the prisons in CT to build frames for some large prints. The prints are representative of the Connecticut Department of Correction's insignias, those were done in house by the Department. My job was to create the frames. 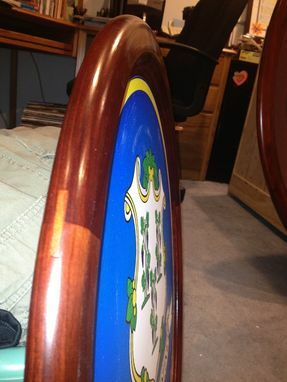 The frames are made from 5/4 pine and stained a cinnamon color. I make my circles by first creating an appropriately sized octagon and cutting splines into each joint for added strength. The circle is then cut and shaped from the octagonal structure. 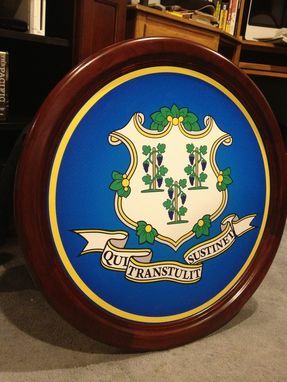 In total there were 4 large frames (48 inch diameter) and 1 small frame (24 inch diameter). 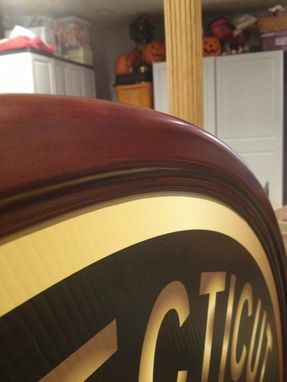 All of the staining and finishing is done with water based, non toxic products.